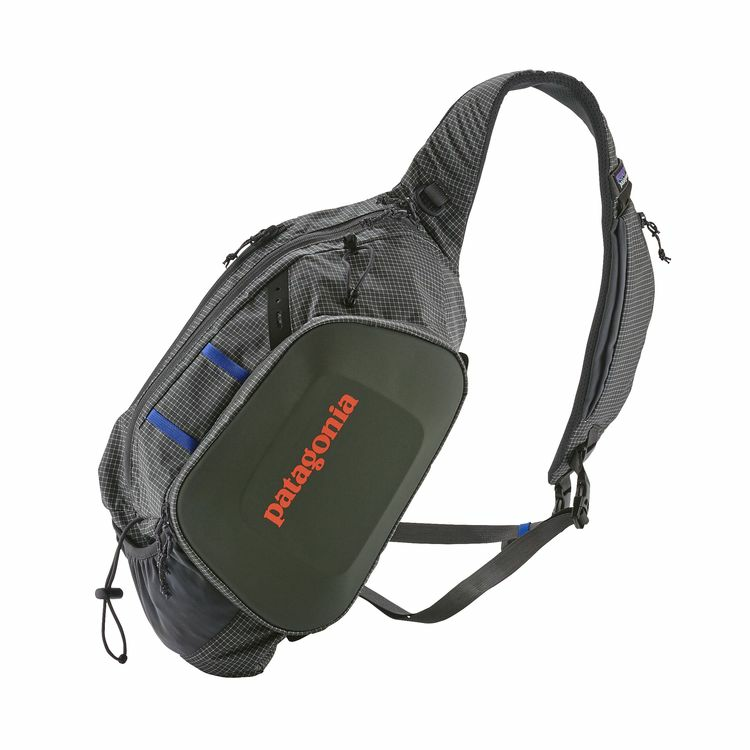 The Stealth Atom 15L Sling is a fantastic alternative to a vest or hip pack; this model is 20% larger than the previous Stealth Atom Sling from Patagonia. The Stealth Atom Sling comfortably carries a days worth of gear on your back. 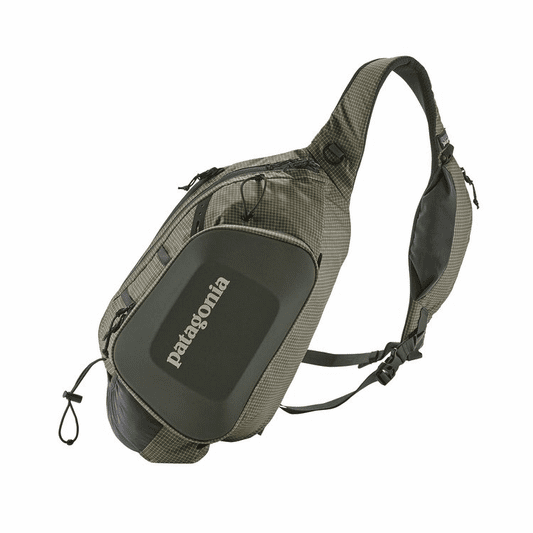 When you need to grab something out of the pack, the compartment easily slings around to the front when you need it, but stays out of the way when you�re fishing. Holds two large fly boxes, hook-and-loop closures for tools and accessories, organizing pockets. 100% waterproof interior phone/camera pocket so you can successfully capture some Kodak moments on the water. Molded front zipper panel drops and opens up for a flat work surface. 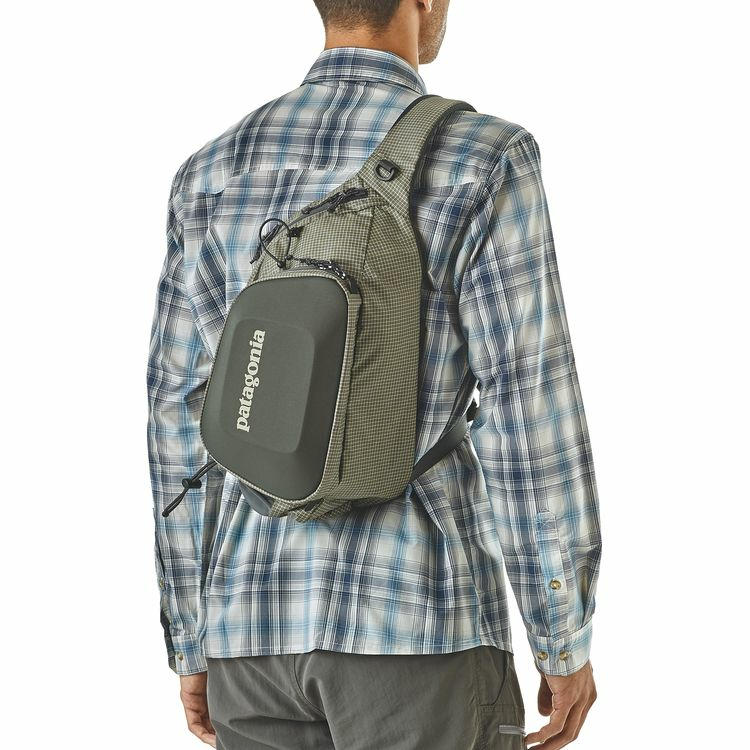 The material is a tough, highly water resistant 840-denier ballistic nylon with a durable water repellent shield. Water bottle pocket, and External Tippet holder as well. 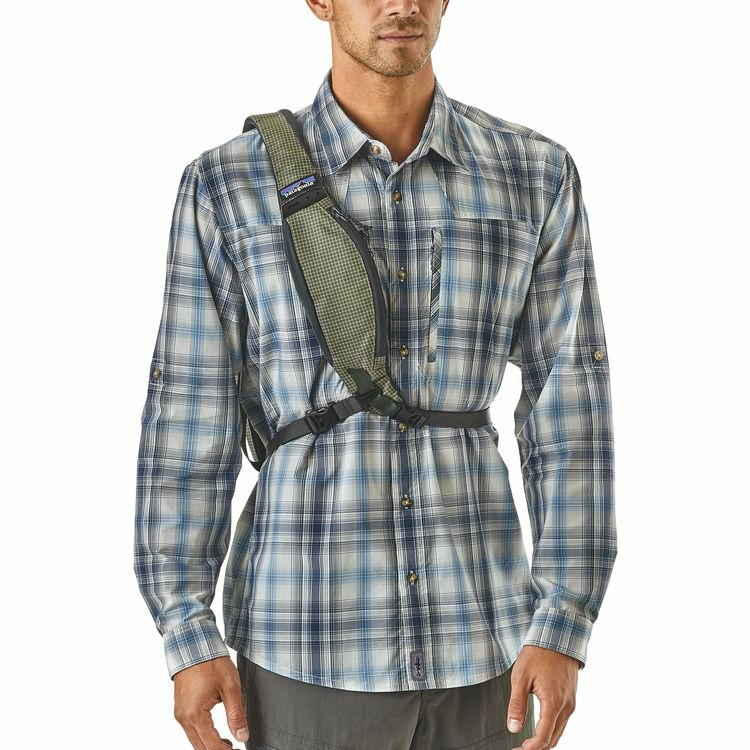 Fully Adjustable neck and waist strap. 22 Ounces.